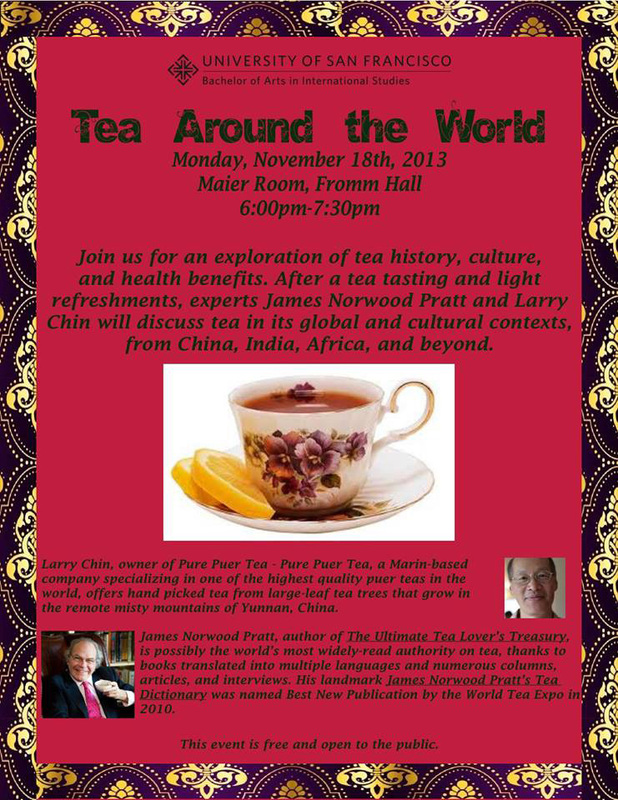 Join Larry Chin and James Norwood Pratt at the University of San Francisco as they discuss tea history, culture and health benefits at the Maier Room, Fromm Hall, 6-7:30. The event is free and open to the public. November 11, 2013 | Filed under Uncategorized.